Growing up, it was our family tradition that every Sunday we would go to my grandmom's house for the afternoon and dinner. Walking in I knew that either Lawrence Welk, Hee Haw, The Three Stooges, or the Phillies would be on TV and my grandmom would either be in the kitchen cooking, baking or relaxing on her rocking chair after spending some time in the kitchen. My favorite days were gnocchi days because I always got to help. We would work in her blue kitchen at her white, pink and gray formica table, and everything was done by hand, right down to hand press ricer for the potatoes. I would watch her mix everything up, roll out the dough, and then I got to cut the gnocchi and roll it down the grater. I still remember her telling me to get my thumb in there to shape them. 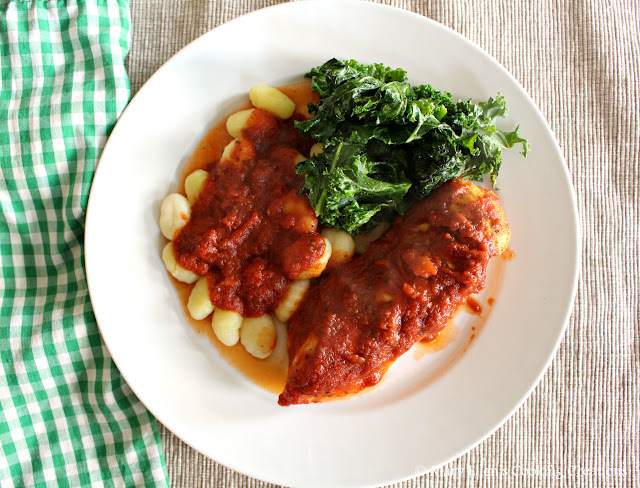 And of course the gnocchi was served with her homemade tomato sauce. These days it can be hard to spend hours and hours in the kitchen, but so many shortcuts are full of things we don't want to feed our family. That's why I was so happy to learn about Ragu's new Homestyle Sauces. The sauces are Simmered in Tradition, a recipe based on Aussanta, the founder of Ragu, who sold the pasta sauce from her porch in NY. She reminds me a lot of my grandmom! These new sauces have no artificial flavors, no artificial colors, no high fructose corn syrup, and they are made using farm grown ingredients. They don't take any shortcuts, peeling, chopping and simmering all of their ingredients and a special blend of herbs - basil, fennel, oregano and black pepper - to layer and build the flavor. 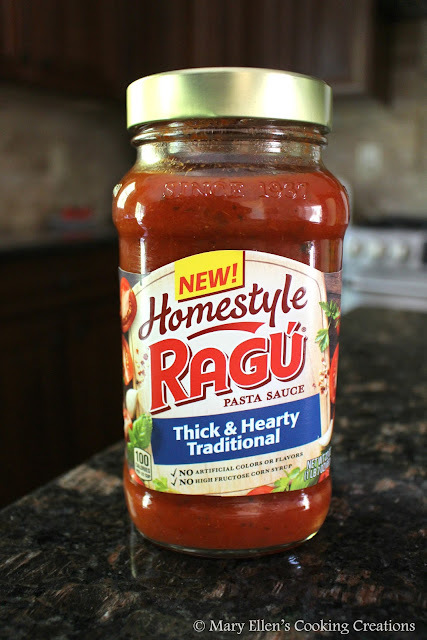 I am happy to serve Ragu Homestyle Sauces to my family! Reading the story of Aussanta and Ragu Homestyle Sauces, I immediately thought of my grandmom and knew I'd make something that reminded me of her. My grandmom always cooked chicken in her tomato sauce, so I put on my grandmom's green checked apron and made chicken simmered in the Ragu Homestyle Sauce and served it with gnocchi. 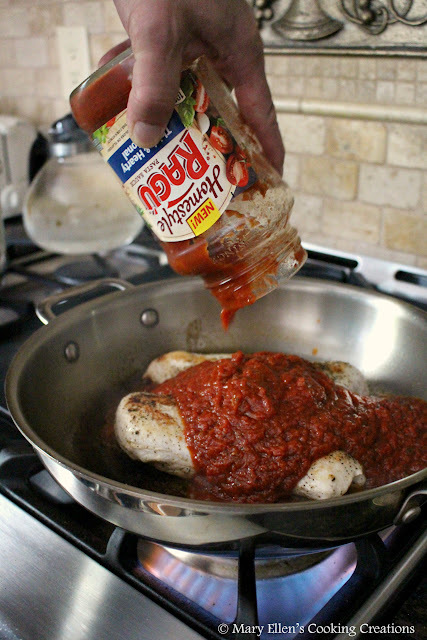 There are several flavors of Ragu Homestyle Sauces to choose from, and the options for recipe creations are endless. I went with the Thick Hearty Traditional with vine ripened tomatoes, garlic, and fragrant herbs - there is no need to doctor it up, just heat and serve! The thick sauce coats everything perfectly, and as soon as I poured it out of the jar I could see how thick it was. It definitely reminded me of eating at my grandmom's house! My daughter was "mmmm-ing" her way through dinner. And the best test - my husband. He could not believe that I didn't doctor up the sauce! It was perfect right out of the jar. 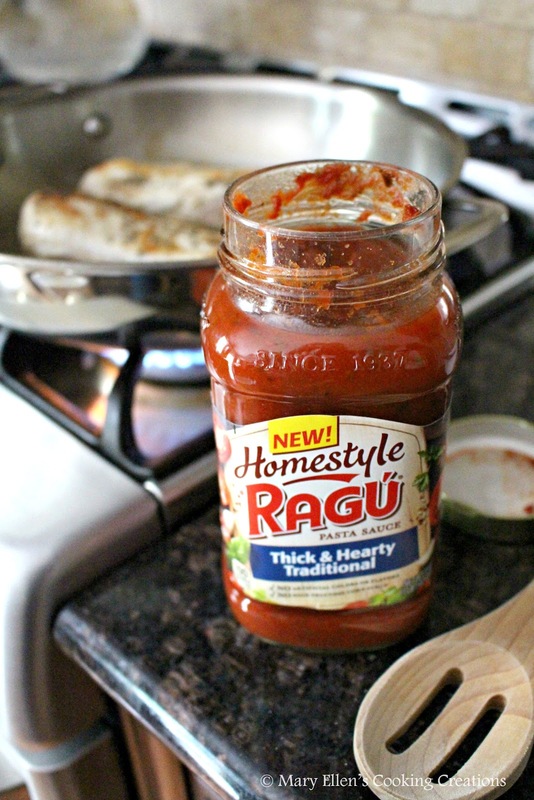 Visit Ragu to learn more about the new line of Ragu Homestyle Sauces and find a taste of home. Check out my recipe below, and don't forget to enter my giveaway at the end of this post!! Season the chicken with salt, pepper, and garlic powder. Add to the pan and cook 4 minutes per side. The Giveaway is closed... congrats to Mami2jcn!!!! BE SURE to leave your email address in the comments as well so I can contact the WINNER! Open to US residents only, must be 18 to enter. 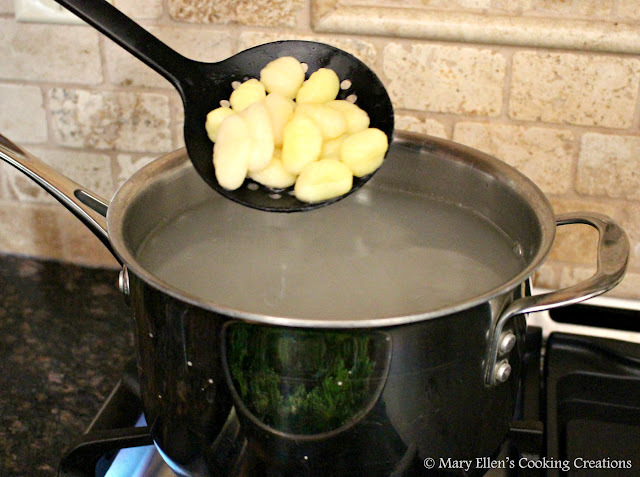 This giveaway is hosted by www.MaryEllensCookingCreations.com and has no affiliation with Amazon or Ragu. Entries accepted through June 6, 2016. Void where prohibited. I just checked out the ragu page. I love their onion and garlic sauce, so much good flavor! 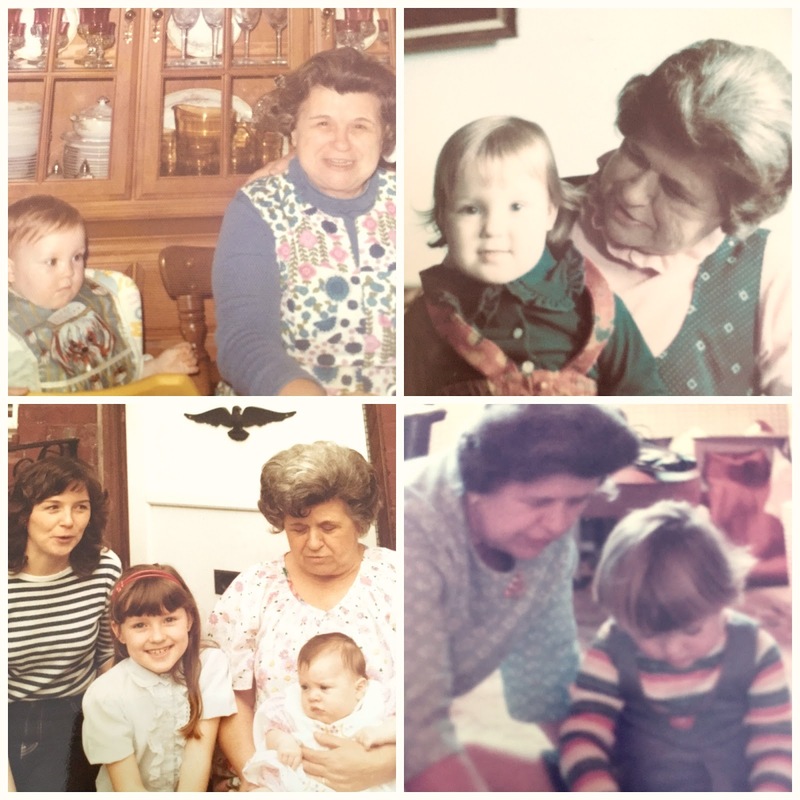 Love the memories with your grandmother. Food and family are among my favorite things to look back on. 5 sauces in the collection. Changed my mind on the sauce I will try next though. The roasted garlic sounds amazing!! I like you on Instagram as kyleecooks. I like you on pinterest as kyleecooks! I have heard a lot about Ragu pasta sauce. Got to try it out soon.. I love gnocchi! I tend to eat it with cream sauces, but ragu is also delish. How can this be only six ingredients?!? It looks like a delicious restaurant meal. My son loves Ragu so we'll definitely try this soon. such a perfectly easy and wonderful dinner. We love Ragu. What a nice story. Cooking with family makes lasting memories! I haven't seen these Homestyle Sauces yet. I usually doctor up jarred sauces! Great to know you don't have to doctor this one. I'm going to look for it! Thanks! There are 5 sauces! My favorite is the thick and hearty meat sauce!! Forgot to put my name....... 5 sauces....thick and hearty meat sauce...... Lauren! I like thick & hearty flavored with meat. There are 5 sauces in the collection. Yum!! We must make this together. It looks so good. Of the five flavors my favorite is roasted garlic. I'd love the thick and hearty and classic alfredo sauce! Liked on Facebook - Ann R. Whit. I like the Roasted Garlic sauce. There are five sauces in the collection. I would love to try the homestyle four cheese variety! I do not know why but I have never tried gnochi before! I will have to change that! I would try the Roasted Garlic out of the 5 new sauces! I love thick & hearty flavored with meat and there are 5 sauces! Five sauces are in the collection. 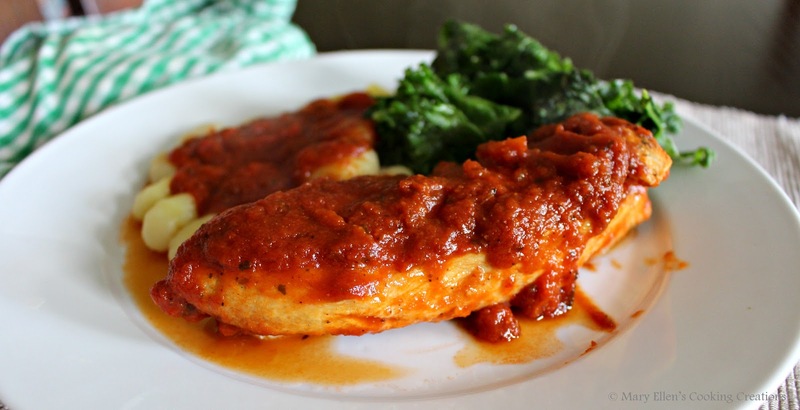 I like Homestyle Thick & Hearty Traditional Sauce. There are 5 sauces in the Homestyle collection. I like a plain base that I can doctor on my own, so I usually buy the plain old original Traditional Ragu. Then I add my own minced garlic, red wine, herbs and spices (a little red pepper flake if I'm feeling spicy) and finish it off with a couple of splashes of the pasta water.